The commercial, which can be seen above, doesn’t technically violate the NFL’s policy, with (arguable) exception to the DDM4 silhouette logo at the end. Daniel Defense offered to replace the potentially offending logo with “…an American flag and/or the words “Shall not be infringed.””. The NFL countered the offer with an additional non-negotiable denial. Surprisingly, Daniel Defense had no trouble running a commercial in local Georgia markets during the 2012 Super Bowl XLVI on NBC. Daniel Defense has partnered with National Firearm Finance to provide financing for Daniel Defense LE Packages for active-duty law enforcement agents. The terms and conditions of the loan would depend on the law enforcement agent’s personal credit history, although rates start as low as 6.78%. 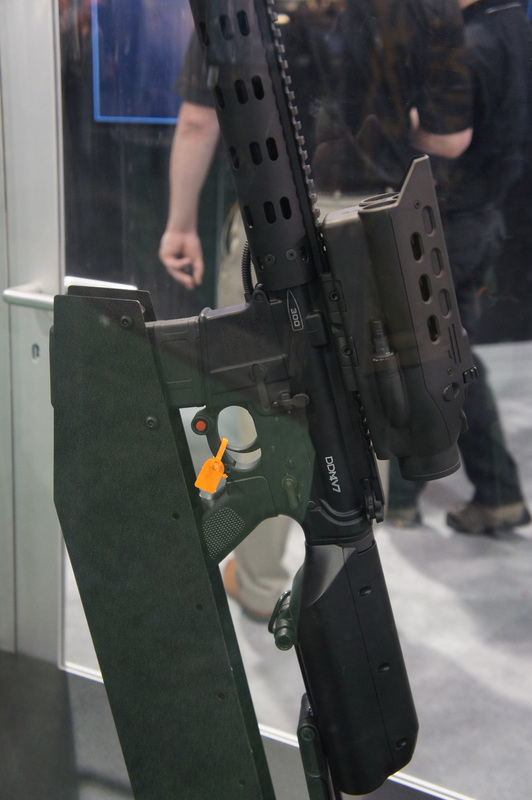 Under this financing plan, the three Daniel Defense LE packages offered are the Special Services package, Lightweight package, and Patrol Rifle package, each of which include an Aimpoint PRO, Blue Force Gear VCAS Sling, and three (3) Magpul PMAGs. Further details on the packages and financing can be found at www.danieldefense.com and www.firearmfinance.com. 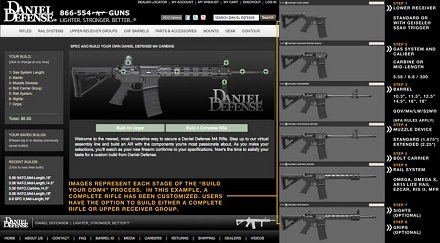 After you’re finished, ‘Build Your DDM4’ not only gives a total price for your design, but also allows you to place an order, save your created rifle as a wall paper, and save the design on the site for future reference (customer registration required).